I want to talk about my little review from Indulge Beauty, featuring their awesome new range ECooking. A bit about the brand- this amazing Danish skincare collection combines chic design with amazing results, which is perfect for the everyday woman. The brand’s ethos is utilizing organic and natural super ingredients that deliver miraculous results for your skin. Believing in nothing but honesty and transparency, you’ll find the labels and names are simplistic and easy to understand what the products contain. 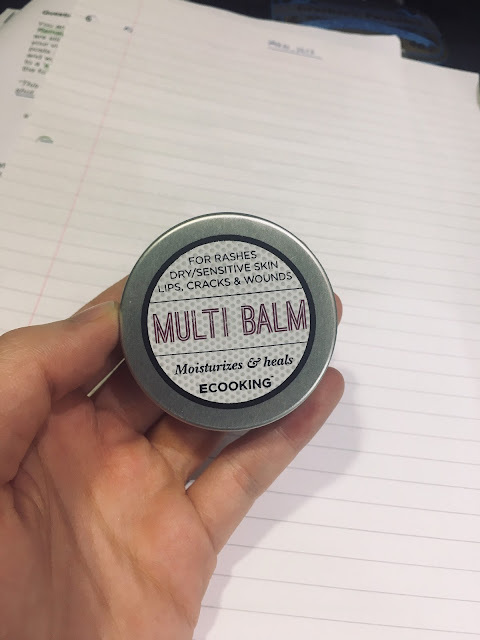 1) Multi-Balm, £23 - this is probably my favourite product from the haul. This Multi Balm has many different purposes of use. It can be used for dry areas (face, feels, hands & elbows), cuticles, insect bites & cracked lips. It is very convenient if I'm travelling and don't want to carry around a huge tub of moisturiser, and it's very lovely to use! 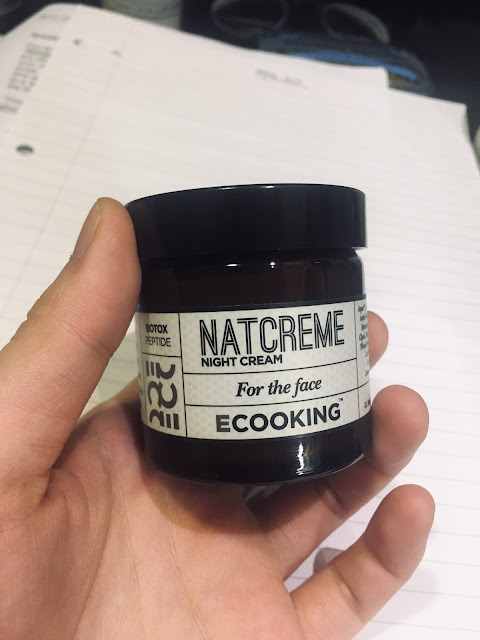 2) Night Cream, £32 - Ecooking's signature Night Cream is perfect for reducing fine wrinkles and lines. It contains Argireline which is a Hexaptide, which means 6 natural Amino acids that reduce the depth of the lines. Argireline works in the same way as Botox, meaning that it makes the muscles relax naturally. Trylagen boosts the Kollagen in the skin, which secures that the skin remains youthfully looking. It's absolutely amazing on my face, and the results are seen immediately. 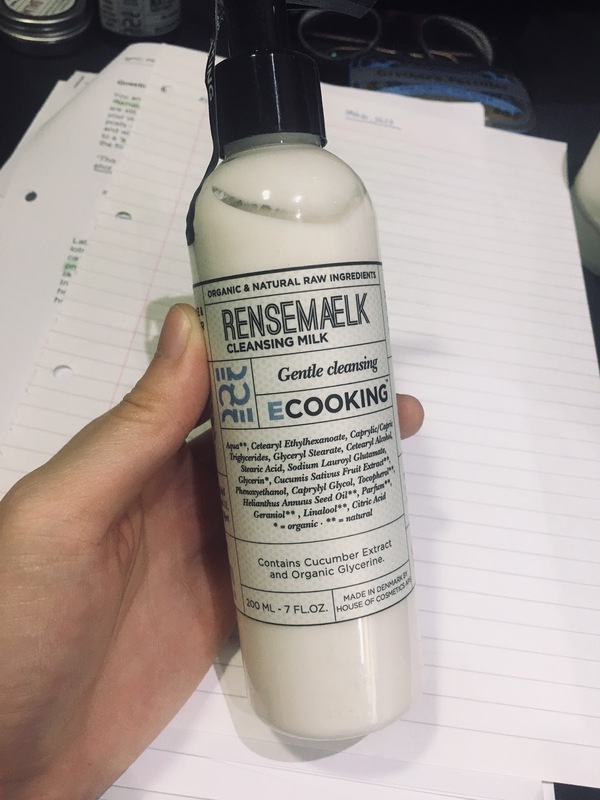 3) Cleansing Milk 200ml, £23 – perfect for oily skin, this cleanser does its job really well. It smells amazing and refreshing, and contains a cream-based texture which is easy to use. The bottle is large enough to last for months, and I'm in love with the scent. It's beautifully package, designed and the milk felt really smooth and light on my skin. I adore this cleanser and think I'll be using this for the next few months without any problems. Overall, I'm super impressed with these products and I'd encourage you to give them a shot! That night cream sounds really wonderful! These products look fabulous.